The World tango dance tournament (in Spanish: Campeonato Mundial de Baile de Tango, also known as Mundial de Tango) is an annual competition of Argentine Tango, held in Buenos Aires, Argentina, usually in August, as part of the Buenos Aires Tango Festival organized by the city's government. Contestants may participate in both the Pista (Salon) Tango and Stage Tango categories. However, no contestant may participate more than once in the same category, regardless of whether they do so with a different partner. All participants must confirm their registration at the time of accreditation. 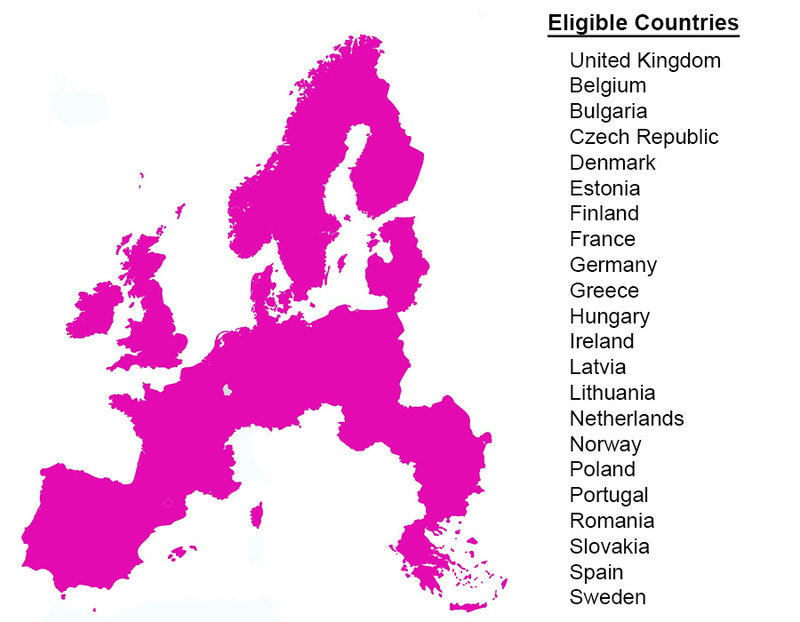 The presentation of the identity document (birth certificate, passport, rent contract or similar) to certify the place of birth or residence in Europe is mandatory to obtain accreditation. Both members of the couple must be present with their documents at the accreditation process; accreditations cannot be done by one member. Accreditation by third parties shall not be made. All data provided at the time of the accreditation will be considered as a sworn statement. Any contradiction subsequent to the signature will be penalised by either a decreased score or a disqualification to compete or any other measures established by this body. All the competition rounds (qualifying, semi-finals and finals) will be open to spectators. * Clarification on who can compete:Participation in both Pista and Stage Tango Categories competitions are open to everyone. Professional dancers and amateur dances of intermediate level and above compete in the same category according to the rules established by Tango Buenos Aires Dance World Cup. Adherence to these rules qualifies our competition in London, UK to be recognized as valid by the main Buenos Aires event.The distinction between a “professional” and “amateur” dance has less to do with the level of skill and more with a professional status of the dancers. “Professional” means that dancers make a living from teaching and dancing/performing tango, and “amateur” means that they do not, but it does not always imply that the level of the professional couple dance is superior to the level of the amateur couple.There are dancers for whom tango is their main source of income. They are likely to be good instructors, but their level of dance and performance can vary: the professional couple can be excellent at dance or not so great. On the other hand, there are good amateur couples who do not teach tango and get no income from performances, but have achieved an exceptional level of dance. There is also the case of stage dancers who only dance choreographed pieces, but are helpless when it comes to social dancing: they cannot dance in milongas. Finally, there are very skilled social dancers (people who only dance in milongas), but who neither teaches nor performs tango. They might be excellent Pista (salon) dancers. To accommodate different ways in which dancers excel at tango, the two divisions for the competition were established: Pista Tango Competition (social category for both amateurs and professional) and Stage Tango Competition (performance category for amateur advanced level and professional level dancers). The Pista (Salon) Tango and Stage Tango categories of the competition will consist of three stages:1) The Qualifying Round: All registered couples must participate. Couples will dance one qualifying round – Qualifying round will be held on Friday 26th April 2019 (Pista Tango: There will be three tangos on one round / Stage Tango: There will be one tango on one round).2) The Semi-Finals: Couples who have been selected in the Qualifying round will dance one round in the Semi-finals on Saturday 27th April 2019 (Pista Tango: three tangos on one round / Stage Tango: one tango on one round).3) The Finals: Couples selected in the Semi-final round will dance one round in the Finals on Sunday 28th April 2019 (Pista Tango: three pieces of music on one round / Stage Tango: 1 piece of music on one round).FILMING AND PHOTOGRAPHING The Organization of the Preliminary reserves the right to record all the stages of the Championship, by any means known or to be known—including but not limited to filming, recording, photographing, digitalization, etc.—by itself or third parties, in order to promote and advertise the event. The recorded material obtained will be the exclusive property of the Organization of the Preliminary, who will have to turn a copy of it, as established by the Collaboration Agreement, to the Office of Festivals.By entering the Championship, participants explicitly and irrevocably authorize the use of the recorded material, without this suggesting—or implying—any compensation for any reason whatsoever by the Organization of the Preliminary and/or the Office of Festivals, in favor of any person or organization that claims entitlement to any right that may be invoked.This clause also includes, without limitation, all photographic material published and/or made available for promotion, advertisement, etc. PISTA (SALON) TANGOIn this category, couples will compete in groups, dancing three pieces previously selected by the Committee.-Once formed, the couple must not separate while the music is playing. For the position to be considered correct, the body of one of the members of the couple must be contained all the time by the arm of the other. It is understood that in certain figures, this may be flexible, but not throughout the duration of the dance.-All movements must be made within the space allowed by the couple’s embrace.-The Jury will take into account the couple’s musicality, walking style and the expression of the couple's personality as fundamental to the score.-Within these parameters, the couple may perform any commonly used figures of “social” tango, including barridas (sweeps), sacadas al piso (drawn to the floor), enrosques (twists), etc.-Jumps, figures that involve losing the contact of both feet with the floor and all other choreographic possibilities typical of Stage Tango are completely forbidden.-As is typical in a dancehall, couples must constantly move counterclockwise and may not stay in the same part of the choreographic space as this would obstruct the circulation on the dance floor.-Outfits will not be taken into consideration during the judging process.STAGE TANGO-Participants will be able to express their view of the Argentine tango dance. This means that couples will be allowed to perform movements, figures and applications that are not directly related to the traditional tango dance. But the choreography must include traditional elements of tango: figure eights, spins, long walks, voleos, hooks, and the “milonguero embrace.” Couples will be able to break the embrace and use techniques from other dance disciplines, as long as they are justified and enrich the performance of the dancer.-Aerial tricks and movements from other dance disciplines must not be excessive. This means that they must not exceed a third of the overall performance. The couple must include floor movement sequences throughout the whole stage floor.-Outfits may be taken into consideration during the judging process.-If a technical problem should occur, the Jury will evaluate the repetition of the choreography at the end of the assigned performing time slot.-In case of having a problem with the choreography, the couple will decide whether to continue dancing or not, and the Jury will evaluate the manner and grace with which they solve the inconvenience; but the couple will not be allowed to repeat the performance.-The selected song cannot not be more than four (4) minutes long. FIRST PLACE - PistaThe FIRST PLACE winning couple of the UK Tango Championship, Pista Tango Category will receive the following:1. The Official Title of: UK Pista Tango Champion 2019.2. Round-trip airfare from the country where the winners are resident to the City of Buenos Aires.3. A week stay accommodation in Buenos Aires during August, week during which the Tango Buenos Aires Dance World Cup takes place.4. Registration to compete in the Semi-finals of Tango Buenos Aires Festival Dance World Cup 2019. PLEASE NOTE: if the winners refuse to participate in the Tango Mundial BA from the semifinals, representing the preliminary, they will lose the prize and they will not be allowed to participate in the mundial from the classification stages.5.A pair of tango shoes offered by Yuyo Brujo (for women) and Zalazar (for men).SECOND PLACE - Pista The SECOND PLACE winning couple will receive honourable mentions and the free registration for the next UK championship on the same category. The AIR EUROPA TANGO CHAMPIONS: one more couple from the Pista Category will have the opportunity to win air tickets to fly from Europe to Buenos Aires to participate in the classification stages of The Tango Buenos Aires Festival and Dance World Cup 2019, thanks to the public vote and the sponsorship of Air Europa. In case the public winners are the same as the First Place chosen by the Judges this prize goes automatically to the couple that has the second-best score in the public vote. FIRST PLACE - StageThe FIRST PLACE winning couple of the UK Tango Championship, Stage Tango Category, will receive the following:1. The Official Title of: UK Stage Tango Champion 2019.2. Round-trip airfare from the country where the winners are resident to the City of Buenos Aires.3. A week stay accommodation in Buenos Aires in August, week during which the Tango Buenos Aires Dance World Cup takes place.4. Registration to compete in the Semi-finals of Tango Buenos Aires Festival &amp; Dance World Cup 2019. PLEASE NOTE: if the winners refuse to participate in the Tango Mundial BA from the semifinals, representing the preliminary, they will lose the prize and they will not be allowed to participate in the mundial from the classification stages.5.A pair of tango shoes offered by Yuyo Brujo (for women) and Zalazar (for men).SECOND PLACE - Stage The SECOND PLACE winning couple will receive honorable mentions, and the free registration for the next UK championship on the same category. Important information: In the case a couple wins both official categories it will, apart from the two official titles, have a longer stay in Buenos Aires up to 3 weeks accommodation and the registration to compete in the Semi-finals of TANGO BUENOS AIRES FESTIVAL &amp; DANCE WORLD CUP 2019 for both categories. London Champion - Pista Tango 2019First Prize(For Londoners competing within the main Pista Tango Category) Free annual pass to several milongas and practicas Carablanca - Etnia - The Light - Tango y Nada Mas - Tango Tierra - Negracha - Tango Space - La Divina - Tango Garden - Corrientes - ''Tango-Fever London''.The score for this prize will be that given by the official Championship judges.